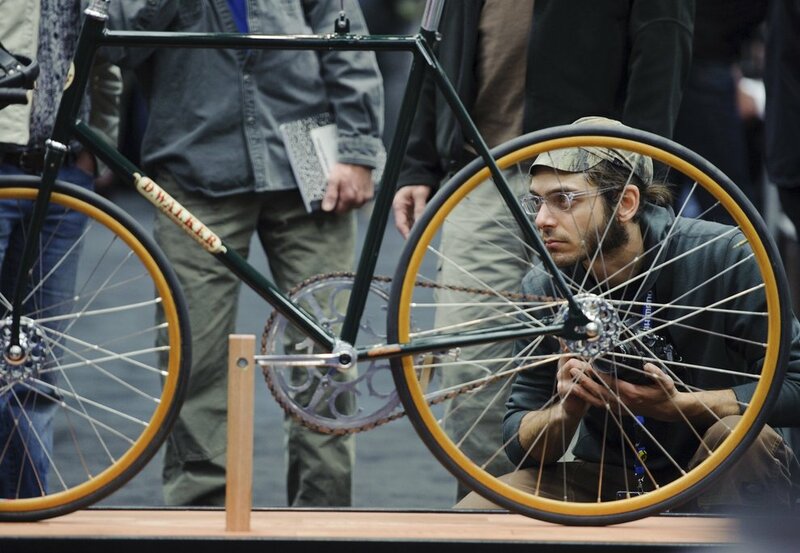 I love these photos from the recent North American Handmade Bicycle Show. In the last few years, while a lot of people have donned lycra and climbed onto carbon fiber frames, they have also seen a resurgence of handmade bicycle building. What used to be the norm of stubborn old men, artisans, and aesthetes has been embraced by more people then ever. 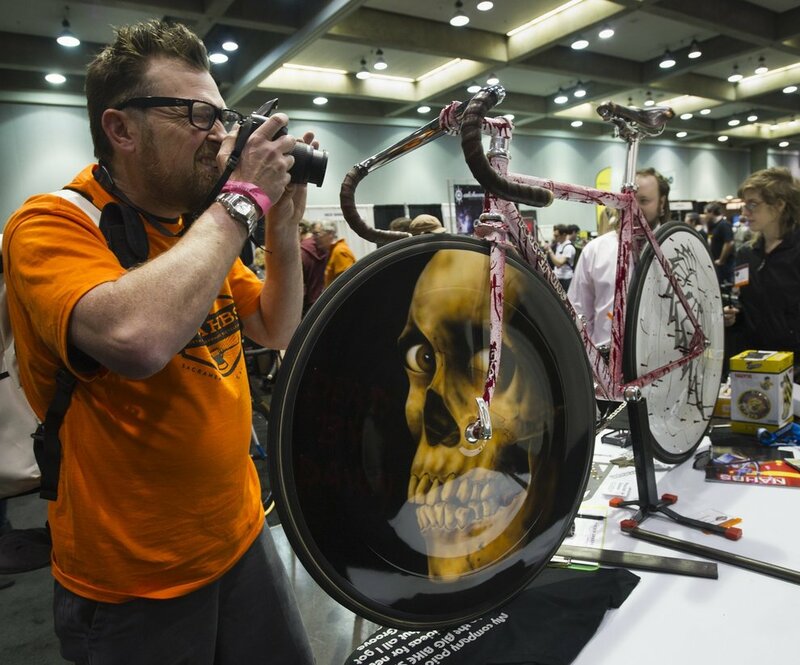 Enthusiasts crowd Sacramento Convention Center for 3-day Handmade Bicycle Show.